The UK government has revealed its intention to leave the European Atomic Energy Community (Euratom) as part of Brexit. Following their loss in the Supreme Court last week, the government has published a Brexit parliamentary bill on triggering Article 50. As part of the explanatory notes of this very short bill, was the shock revelation that Britain will be leaving both the EU and Euratom. Exiting Euratom brings complex implications for the regulation of safety, spent fuel management, non-proliferation and new build. The surprise announcement “without discussion or analysis” has been met with shock across industry, media and the scientific community. Whether for or against nuclear, the chorus of dismay suggests exiting Euratom is a “lose-lose for everyone” and represents a herculean feat for even the finest of bureaucrats. The government apparently believes our membership of the EU, and Euratom, are “uniquely legally joined”. How, exactly, is not yet clear. Lawyers are questioning why the government has decided to quit Euratom, as well as the manner in which this was revealed, in the explanatory notes accompanying the Article 50 bill. Jonathan Leech, a senior lawyer and nuclear expert at Prospect Law said, “there doesn’t seem to have been any real explanation as to why, because we are going towards the unknown at great speed. Legally we don’t have to [leave Euratom] because the UK is leaving the EU”. Across Europe, the loss of UK’s membership will impact the balance of nuclear support in Europe, and not in a good way. Inside the UK, there are serious implications for both the existing new build programme, as well as for next generation fission and fusion plants. “Quitting Euratom would create unnecessary uncertainty for new nuclear power and research into fusion power, a cleaner alternative to nuclear fission in which the UK has been a world leader for decades,” Jonathan Leech said. James Marrow, professor of energy materials at the University of Oxford, said that the funding available from Euratom was the “glue” that holds together the UK’s national nuclear research. The FT has reported that senior figures in the UK nuclear industry acknowledged that departure from Euratom would be a significant problem but denied that it put new reactor programmes under threat. Horizon, the company owned by Hitachi of Japan which is planning a power station in Anglesey, Wales, using US nuclear fuel, said it was reassured by the government’s commitment to quickly put new regulatory arrangements in place. “Whilst the UK’s withdrawal from Euratom would present issues that would need to be addressed we are confident these can be resolved on a timescale that keeps us on schedule to successfully deliver our lead project, Wylfa Newydd,” said Horizon. EDF Energy which is building the Hinkley project and hopes to construct other plants, has told MPs that “ideally” the UK would stay in the treaty, as it provided a framework for complying with international standards for handling nuclear material. Clearly, industry and government are attempting to calm the story, but, as with many events recently, we are in unknown territory here. Please see further news coverage and analysis below. 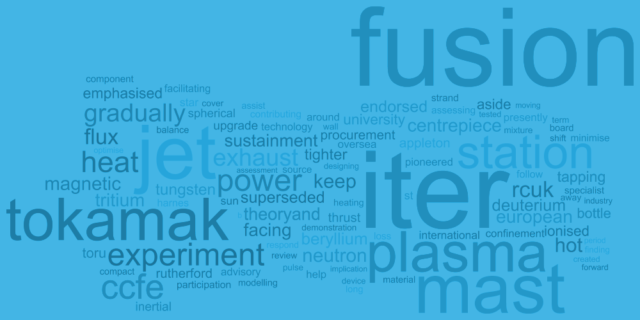 Nature: Researchers shocked at UK’s plan to exit EU nuclear agency: UK’s role in major fusion projects remains in limbo. Weinberg Next Nuclear published this comment calling on the government to reconsider.